New deal comes on heels of partnership with VW. Ford and Mahindra officials, including Ford's Jim Farley, (l), celebrate the signing of their first alliance. The two sides added two new agreements. Just a day after rumors circulated about the state of its open-ended partnership with Volkswagen AG, Ford Motor Co. expanded its alliance with India’s Mahindra Group. The two companies this week signed new agreements on sharing powertrains and connected car solutions to reinforce the progress made in the strategic alliance between the two companies, first announced in September 2017 and followed with five Memoranda of Understanding. 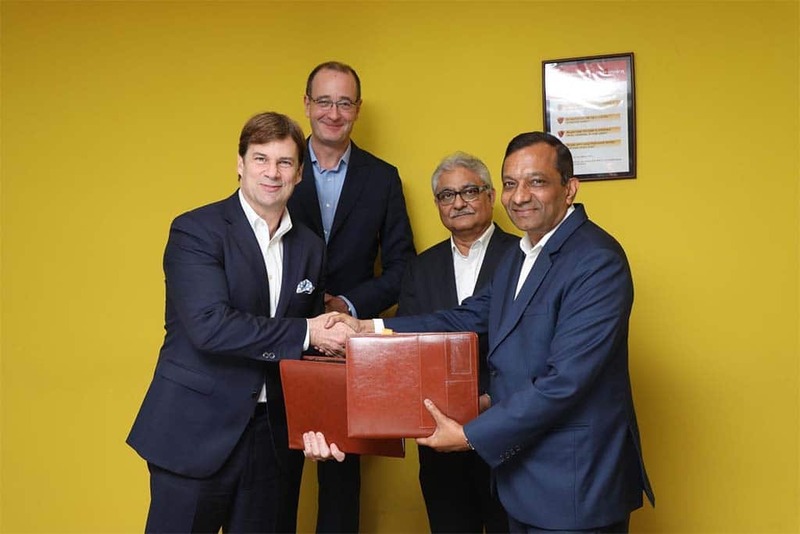 “We are pleased with the progress our teams have made since we announced our strategic alliance with Mahindra Group a year ago,” said Jim Farley, Ford executive vice president and president of Global Markets. Under the new agreement on powertrain sharing, Mahindra Group will develop and supply a low-displacement petrol engine to Ford India for use in its present and future vehicles, starting in 2020. The BS-VI compliant powertrain will help Ford extend and strengthen its existing offering of petrol engines, that currently includes the all-new 3-cylinder TiVCT family. Mahindra is expanding its presence in the U.S., including a new plant in Auburn Hills, Michigan. Mahindra and Ford also announced joint development of a telematics control unit. Once developed, the connected vehicle solution will be deployed across both Mahindra and Ford vehicles. Pawan Goenka, managing director, Mahindra and Mahindra Ltd., said the announcement further builds on commitments made so far, leading to a slew of new opportunities. “We are confident to meet customer expectations by working together on a number of joint development areas. Going forward we will continue to identify the synergies that exist between the two companies,” Goenka said. Both companies continue to make progress on the remaining MoUs signed earlier this year. This includes product development for India and emerging markets, including co-development of compact SUVs and electric vehicles. Mahindra is ramping up U.S. production of its Roxor SUV, which Fiat Chrysler is attempting to block. 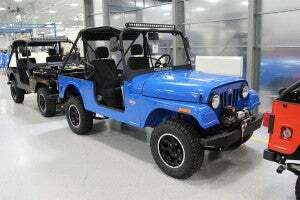 Mahindra has led the utility vehicles segment in India for the past seven decades. The spirit of ingenuity has driven Mahindra to be amongst the few global companies pioneering the development of clean and affordable technology and is the only player with a portfolio of electric vehicles commercially available in India. Expanding its global presence, Mahindra owns a majority stake in Ssangyong Motor Company in Korea, and it has entered into the shared mobility space with investments in ridesharing platforms in the U.S. and is developing products like the GenZe – the world’s first electric connected scooter. 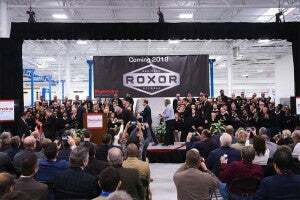 The company’s push into the U.S. has been challenged by Fiat Chrysler Automobiles, which has sued Mahindra for a patent violation, for its Roxor, a Jeep Wrangler look-alike. Meanwhile, Ford was among the first global automakers to enter India in 1995. Now one of the largest exporters of cars from the country, Ford manufactures and exports vehicles and engines from its manufacturing facilities in Chennai, Tamil Nadu, and Sanand, Gujarat. India is also the second-largest Ford employee base globally, with more than 14,000 people working across the Ford India or Global Business Services operations in New Delhi, Chennai and Coimbatore. This entry was posted on Thursday, October 18th, 2018 at and is filed under Asia Pacific, Automakers, Business, Executives, Ford, Infotainment, Mahindra & Mahindra, Markets, Personalities, Safety, Technology, U.S./North America, V2V. You can follow any responses to this entry through the RSS 2.0 feed. Both comments and pings are currently closed.